Condemned Labz has included a trio of proven cell volumizers, led by the king of bodybuilding supplements — creatine monohydrate. 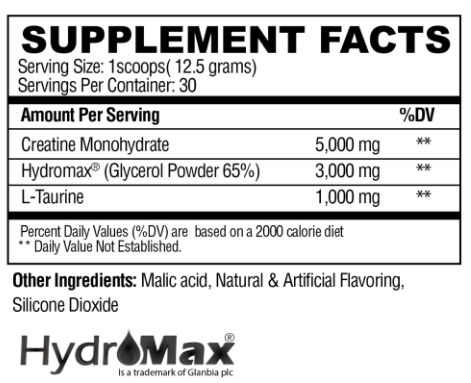 Locked Down provides a full 5 gram serving of the true form of creatine in every serving. Hydration is an essential, yet under emphasized, component to optimal performance, recovery, and muscle growth. Even as little as a 2% drop in hydration levels can accelerate the onset of fatigue, reduce muscle function, and impair cognitive function. To further complicate matters, consider this — if you’re training hard day in and day out, you’re most likely sweating buckets, and with that goes valuable water and electrolytes. 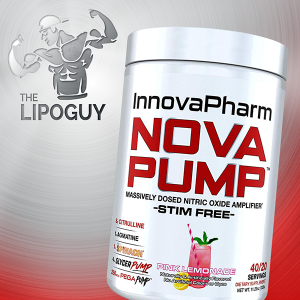 Failure to replenish these vital nutrients is the perfect prescription for cramping and fatigue. Because of this, it’s imperative that you do everything in your power to lock down your hydration levels and ensure your performance never falls off. So, What is Locked Down? 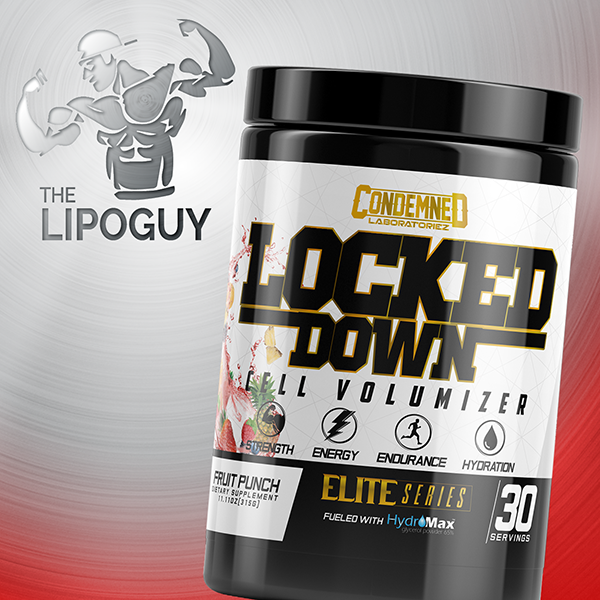 Locked Down is the consummate cell volumization and hydration supplement that supports athletic performance and combats the onset of fatigue. Condemned Labz has included a trio of proven cell volumizers, led by the king of bodybuilding supplements — creatine monohydrate. Locked Down provides a full 5 gram serving of the true form of creatine in every serving. 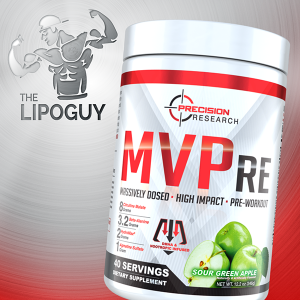 Best of all, Locked Down seamlessly mixes into either Convict Stim or without affecting the flavor, and can actually improve the taste and texture of whatever supplement you use.